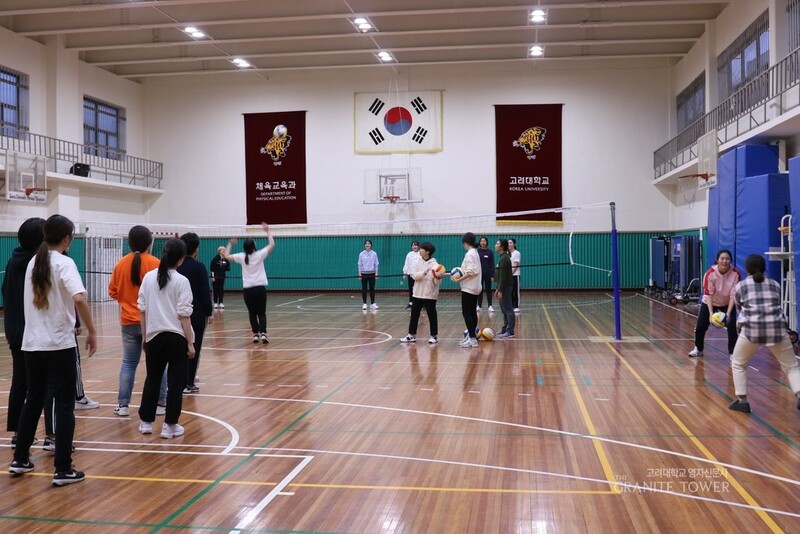 On January 27 Korea University (KU) women’s volleyball club Bae-KU, which is pronounced similarly with baegu,a Korean word for volleyball, held a one-day public practice session at the Sports and Recreation Center. The program was aimed to promote the club and recruit new members by giving students an opportunity to play volleyball. The two-hour program started with a brief introduction of the club and warm-up exercises. The club coach, Kim Yea-jin, taught students basic volleyball techniques such as passing and serving. A short volleyball game was held at the end of the program. Bae-KU is currently composed of 15 members including the club captain Kim Hye-rin (’16 German Language and Literature) and coach Kim Yea-jin who was a member of the official Seoul Women’s Volleyball Team. The club is planning to host more public practice sessions to promote the club for the official recruitment that begins in March.